Last week Gary Kildare, IBM VP for Human Resources, discussed how to recruit graduates . Today’s guest post looks at the benefits of apprenticeship programmes. More and more companies are recognising that university isn’t for everyone. Apprenticeship schemes are a way for employers to tap into talent which they may otherwise overlook. Increasingly apprenticeship positions are cropping up in the services industries – including IT. Working closely with e-Skills and the National Apprenticeship Service, we opened the IBM Apprenticeship scheme last year. 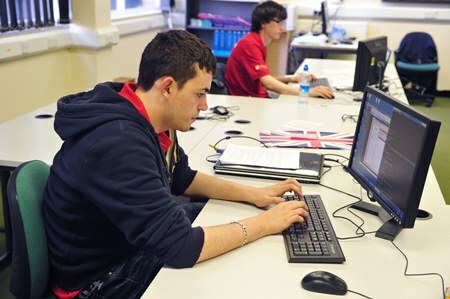 Our apprentices work while attaining a recognised qualification in ICT over two years. This has proven so successful that we are expanding the programme this year. While most applicants had just finished their A-Levels, we had older applicants as well. One of the apprentices we took on is 30. He demonstrated the seven transferable skills we look for as well as a deep level of commitment which made him an excellent candidate for us. In our experience, apprentices are enthusiastic and embrace a culture of learning new skills and self-motivation. Bespoke training on the job means they do it ‘right’ from the start. An apprenticeship can be a great choice for people who want to dive straight into the world of work while at the same time gaining access to support, training and a career path. It’s all very well talking about how IT is an exciting career, but unless we start telling people about it, we’re not going to attract the people we need. This all starts with education. 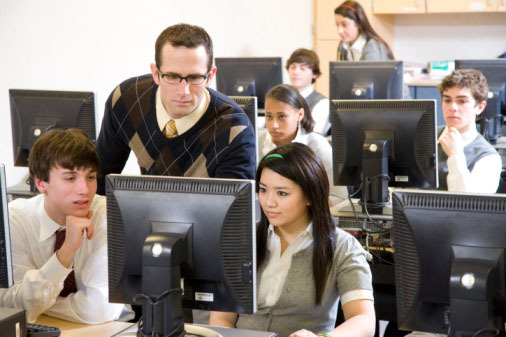 Too many secondary schools have an IT curriculum which teaches Word and Excel and other subjects pupils already know about. This is boring. We don’t teach 14 year old English students how to read, we teach an understanding of literature and use it to cultivate analytical, evaluation and communication skills. Similarly, IT should give students an understanding of how technology works and the tools to use it in productive and creative ways. It should teach subjects which, for those who enjoy IT, can be developed into relevant career skills. Once students are excited about IT, we need to ensure that when they look for advice – from careers advisors, parents or teachers – these people have the materials to explain what IT can offer. The IT industry can help by providing these materials. CompTIA, for example has just completed a guide for use by such people to explain careers in IT and how we can help. Those interested can download the guide here. We also need people who will fly the flag in the media. Perhaps we could even find a champion who can do for IT what James Dyson did for engineering. An even better result would be for IT professionals to volunteer to visit their local schools or college and tell students why they love their career. It’s a big job, but as an industry we need to find ways to share our love of IT with young people. What makes a young person stand out as a potential employee? IBM takes on between 350-500 students, graduates and apprentices each year. Over time, we’ve identified seven transferable skills which we ask young people to demonstrate in our recruitment process. We find that people who demonstrate these skills during the recruitment process are more motivated and keen to take on board the training we provide. We take on graduates and students with a variety of degree backgrounds. A recent IBM graduate studied the fall of the Roman empire and the origins of the British Secret Service for his degree. Not obvious choices for someone on their way to a career in IT. However, he is now a client systems manager and works closely with clients to understand their needs and identify the IT services and products which will support their strategy. The world around us is constantly changing, becoming more interconnected and intelligent. Seeking out candidates with transferable skills help us make sure that our hires can adjust and thrive in the years to come. Today’s post is from Matthew Poyiadgi, European VP of CompTIA. Poyiadgi highlights two young people who have chosen careers in IT, speaking to them about what makes IT great. I recently caught up with some people who got into IT through CompTIA certifications. Their careers speak volumes about the breadth of IT careers and the interesting jobs on offer. One, Dujon Walsham, played a critical part in building up the IT infrastructure to capture programmes for ITV Player and now helps companies like eBay and British Airways adopt cloud computing systems. Another, Daniel O’Sullivan works for Venatrack, a company whose software tracks player movement in football matches and provides 3D digital playback for post-match analysis. On match day he supports clients using the software to make sure the system runs perfectly. All of them were deeply enthusiastic about their careers. They work on many interesting projects using the latest technology and receive good salaries for their hard work. This is what IT is about. It’s about getting involved with exciting projects, building computers and networks, creatively designing solutions (whether software or hardware) and working with people to solve problems and make their lives easier. This is rewarding career, and it is unfairly portrayed by the ‘geek’ image. It’s time IT professionals started sharing their stories and showing the world what IT is really about. As this month’s IT-related GCSE and A-level student numbers fell for another year, the common viewpoint emerging from the IT industry is that young people simply don’t know what they’re missing in the IT sector. As IBM’s HR vice president told Computer Weekly, a lack of suitable candidates meant 200 out of a 1000 jobs created for young people were left unfilled. Matthew Poyiadgi, european vice president of CompTIA, believes this is because young people are simply not aware of the career options available to them in the IT sector. Oracle believes the skills shortage places greater emphasis on employers to attract and retain young employees. In my opinion there’s no doubt that the technical knowledge of this generation of school leavers and university students is above and beyond previous peer groups. Being a student and graduate means you are now more connected and have more choices of communication than ever before; keeping up to date with vast circles of friends and family across boundaries is now part of how you live. However, it’s just as essential that as a student you posses other skills, such as professional communications, management and leadership, as well as having an understanding of how these work in practice. With intense competition for the top entry-level jobs in the industry, it’s also important that as a school and university leaver you give yourself the best chance to get the job you want. I know from experience there are many ways students can do this. For example, proactively gaining extracurricular skill-sets through programmes such as Microsoft’s Imagine Cup, where school students around the world are given the opportunity to use technology to help solve global challenges and make a difference in the world. Doing an internship is also a fantastic way you can make yourself stand out and break into the industry. Traditionally it has been difficult to find internships with top companies. But there are now a variety of organisations, including Microsoft with our Young Britain Works initiative, who offer help to find work experience to develop the skills needed to secure your first job. Being a student today means social media is probably engrained into your life. So why not use it to start networking and finding conversations that will help you get into the industry? Following IT companies and people in technology on Twitter and connecting with key IT people and joining technology groups – like the Microsoft Young Britain Works group – on LinkedIn, will help you gain invaluable insight into the industry. It’s up to students to empower themselves by proactively looking for opportunities to gain the experiences and knowledge required to succeed in the industry. By doing this, you will start developing the right skills, building on your strengths and giving yourself the best start in your IT career. The number of new recruits in IT has been in decline for some years and there is no indication this year will be any different. But in the UK, one in 20 people work in IT and unemployment for IT staff has now dropped to 3.1%, compared to 8.3% for the overall workforce. Four out of five jobs require IT skills. Unemployment is rising and yet there is still an IT skills shortage, says Gordon Frazer, UK managing director of Microsoft. So why not consider a career in IT?